In the wake of 20-year-old Mollie Tibbetts’ disappearance last month, a pig farmer named Wayne Cheney was repeatedly questioned. 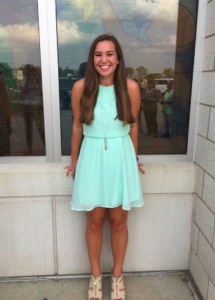 Suspected of involvement in the murder of the University of Iowa student, he was made subject to lie detector polygraph tests before authorities ultimately charged a different man with Tibbett’s death on August 22nd. While Cheney eventually took the test, he initially objected, calling them “stupid.” Whether Cheney passed or failed his polygraph is not the subject of this article but rather on the reliability of these tests in the delineating of an untruth. So, are polygraphs actually an effective tool? Or do polygraphs run the risk of interfering with the real detective work that solves crimes? A polygraph test measures certain physiological responses, including blood pressure, heart rate, respiration (breathing) and skin conductivity (representation of perspiration). All these measurements are taken while the subject is asked a series of questions with the intent of making out whether they are lying. It works on the assumption that lying causes a change in these physiological responses, a theory that telling a falsehood increases one’s blood pressure and heart rate, making the subject pant and ooze sweat. Relevant questions, in order to catch you in a lie, are included with the control questions. For example, if it concerns a murder, “Did you murder Mr. X?” If you are guilty, you likely want to deny your involvement.To appear innocent, you say no, which causes a change in your measured responses, as you are lying. Can You Pass/Trick The Test If You’re Guilty? Quite possibly! At least so says Sharon Stone’s femme-fatale psychopathic character in Basic Instinct, “If I was guilty and wanted to beat that machine, it wouldn’t be hard,” she boasts. George Maschke the co-founder of AntiPolygraph.org says the way to beat a polygraph is to recognize control questions and augment your physiological responses to those. The responses recorded are all general symptoms of stress, fear and anxiety. You can pass a polygraph test by increasing these responses by other means when answering control questions, and staying calm when asked relevant ones. Eddie Jemison’s character Livingston Dell passed a lie detector test in Ocean’s Eleven to get certified as a shuffle machine technician. How so? He put a tack in his shoe so when he stepped on it, the pain he felt spiked his physiological responses (for control questions), making them comparable to his false replies. Of course, in the real world, in current times, a solution to this problem is for the subject to take off their shoe but, there are other ways one can induce anxiety to elicit a response on a polygraph. A famous non-fiction example of tricking the test was the Green River Killer in 2003. The killer eventually confessed to murdering 49 women but passed a lie detector test in 1987, while an innocent man failed the same test. Who Uses These Tests And Why? In Canada and the UK, polygraph results are generally not admissible in criminal courts. Meanwhile in the US, it is up to the jurisdiction concerned to decide whether a polygraph should be admitted as evidence. However, government agencies in both Canada and the US use these tests to screen employees and job applicants and, as a tool to assist in police investigations, like the Mollie Tibbetts case. It is possible to look at polygraphs as a tool to coerce admissions and confessions of a crime. Perhaps, not as different as confessions of witchcraft in medieval England brought on by a ‘trial by ordeal’? 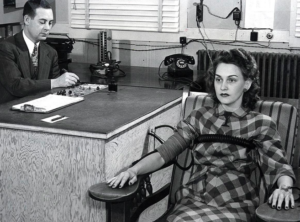 The National Research Council in Washington, DC writes, “Almost a century of research in scientific psychology and physiology provides little basis for the expectation that a polygraph test could have extremely high accuracy.” This conclusion was drawn from an extensive study on the reliability of the test. Social psychologist Leonard Saxe whose work involves research on polygraphs writes, “There’s no unique physiological sign of deception. And there’s no evidence whatsoever that the things the polygraph measures — heart rate, blood pressure, sweating, and breathing — are linked to whether you’re telling the truth or not.” A brain imaging study shows that patches of the brain light up when lying but, more interestingly, in a recent study it is shown that the brain adapts to dishonesty; the intensity of the signal reported when you lie is reduced, the more you lie. So the more you lie, the better you get at it; the better you get at lying, the calmer you are able to remain when lying. 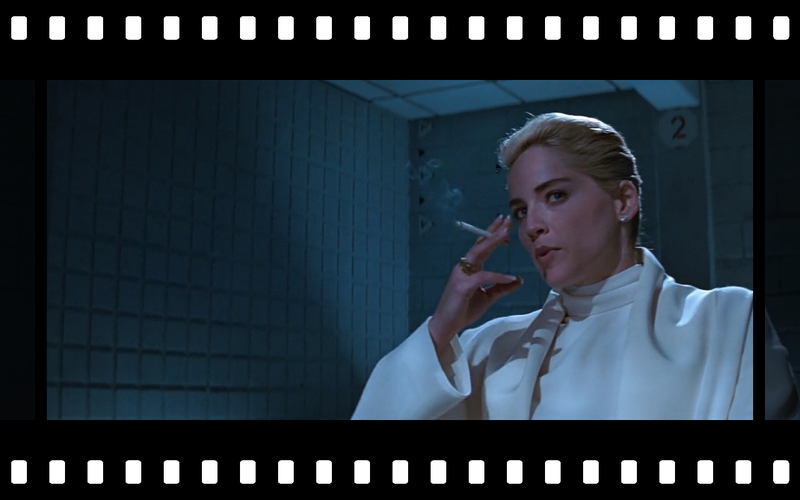 And being calm when lying can allow you to manipulate a polygraph, just like Sharon Stone! RELATED: Is Bibiana On Bachelor In Paradise A Spy?